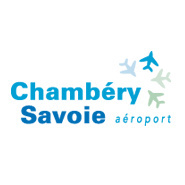 Chambery is a small international airport at an elevation of 234 metres above sea level. Being the closest airport to the ski resorts of the Trois Vallees and the Espace Killy, it is known as the gateway to the French Alps. It is a small but modern airport that has undergone a major revival thanks to low-cost airlines choosing it as a destination. British Airways and Flybe both use Chambery airport to fly their passengers as close as possible to the local ski slopes. It has a small range of facilities including a restaurant, cafe, and a shop. The range of amenities is nowhere near as big as other international airports though. Road access to the motorways is quick and easy from Chambery airport. The fact that you can save over an hour on transfer times compared to the other airports in the area is the reason why most people choose to fly here. ...and many more - please contact us for any other resort requests.